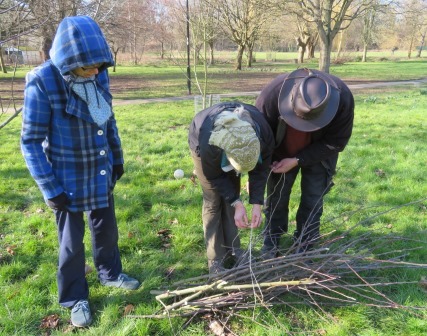 We got all twenty of our maturing Chinbrook Meadows apple trees pruned today with the help of our London Orchard Project mentor, Alona. The trees are looking healthy and strong. All four varieties; James Grieve, Spartan, Charles Ross and Egremont Russet are doing well with good buds forming for the year ahead. We hope to have plenty to admire and enjoy on our Apple Day in October. Eddie showed us how to use sisal with slip knots to gather our branch bundles together neatly when we had finished. 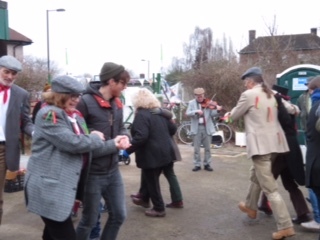 In various corners of the borough the ancient tradition of wassailing is being carried out this winter. The revelry can take a variety of forms but it is a wonderful opportunity to celebrate our apple trees. 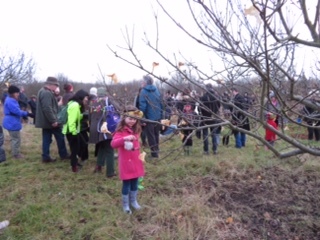 Following the successful Apple Day in October, FOCM joined ChART and Chinbrook Community Orchard, to organise a Wassail in the community orchard, which is sited in the Chinbrook Meadows Allotments, Marvels Lane. 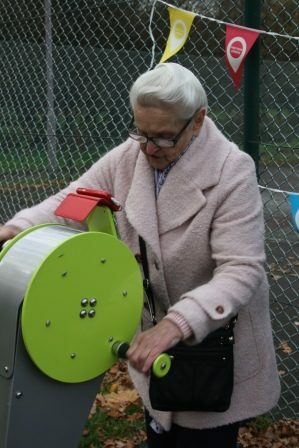 We are indebted to the Orchard Project who have supported us and helped bring together the two neighbouring orchard volunteer groups to develop these shared events. Fowlers Molly Dancers, the Grove Park Singers and local children helped make it a great event. We started with hot soup to warm everyone on the chilly afternoon. 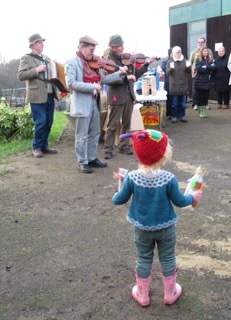 The children made crowns (traditionally a Wassail king and queen would lead the revelers around the trees) and noise making instruments (used to “wake up” the trees). 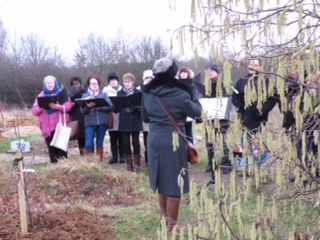 We processed with lots of noise to the apple trees and dipped robin-shaped toast in cider which we the hung on the trees while we listened to the Wassailing songs of the Grove Park Singers. The community orchard has a wonderful collection of familiar and less well known varieties of apples and other fruit trees that were planted in 1991-2. 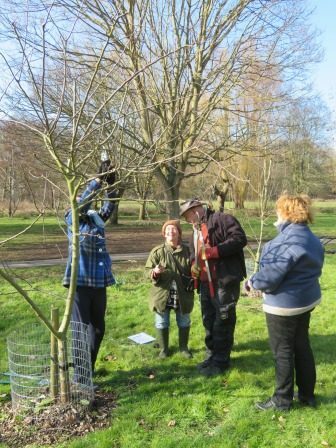 Look out for more orchard events to come, both in Chinbrook Meadows and the Chinbrook allotments. 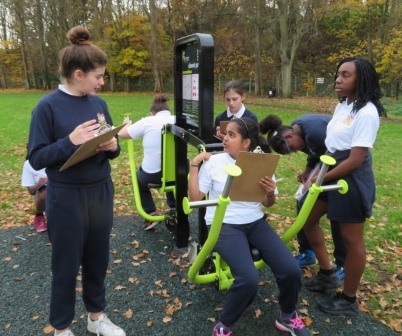 Mrs Rita Barnes, founder member of FOCM, cut the ribbon to launch our new outdoor gym and we were joined by Year 8 girls from Haberdasher’s Aske’s Knights Academy to celebrate and try out the new equipment. 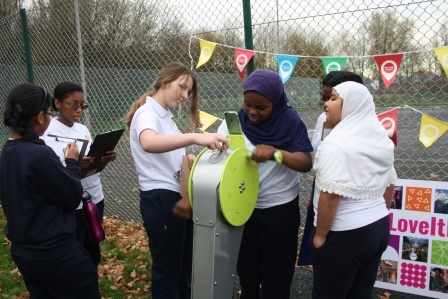 Students and adults soon got involved and found the equipment could be as challenging as you make it, everyone can work at their own pace. Big thanks to Tescos Bags of Help and London Marathon Charitable Trust for funding our new gym, we are delighted with it. 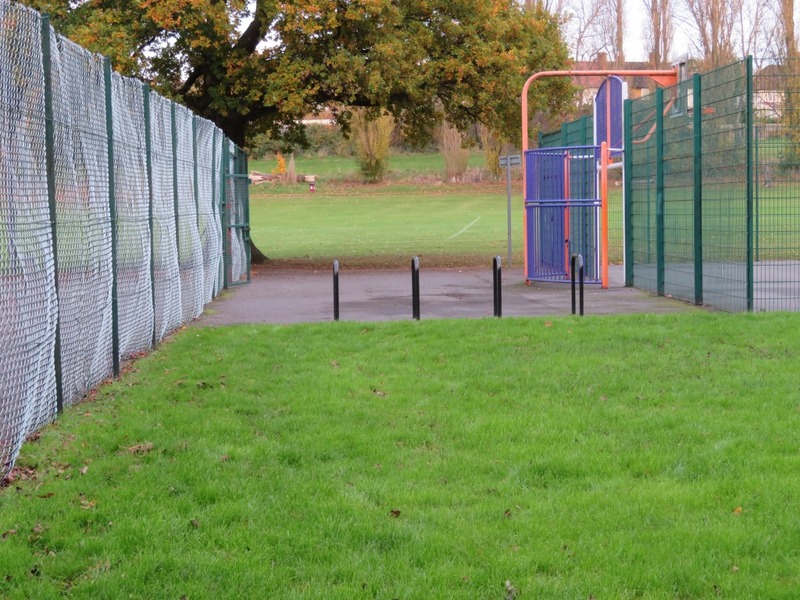 It may not look like much yet but this space is soon to be transformed into an amazing new outdoor gym. 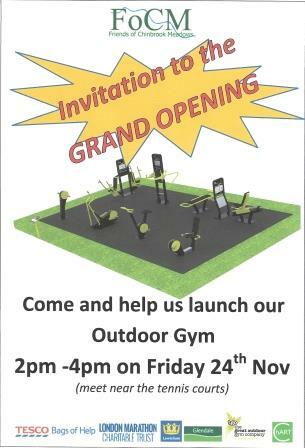 On Friday 24th November at 2pm we want everyone to come along and celebrate with us. 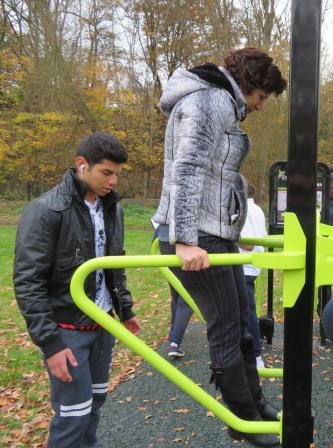 Come and take a look and try out the new equipment.